Since one year now I follow your blog and I see most things unfolding exactly as you describe. Although I do not agree with all points (climate change) I understand that personal opinion is not what will save us. Your computer and your comments give people insight in the mechanisms of how things go and this is not really what mainstream media tell us. You’re focusing on the ECM turning point of October 2015 as the most important date for our future. Now for me it is astonishing because last May my company gave me the message that they will end my contract… on September 30. After 25 years of service and at the age of 60 they throw me out for ‘reducing the headcount’. Do they know or feel this date in their veins? Is there a force putting pressure on people so they ‘don’t know why’ but push them to take such measurements ? Because at previous meetings management ensured us all budgets were honoured and no people would have to fear for their job. Personally the company … a listed company on the Dow, will pay me out [with] … 2 years of salary. They will hand me over … , exactly on October 1st ! Thank you for sharing your knowledge with the common people who are willing to open their mind. ANSWER: I have stated many times that this is not my THEORY, it is has been my DISCOVERY. I am fascinated by this model and studying how the world functions. 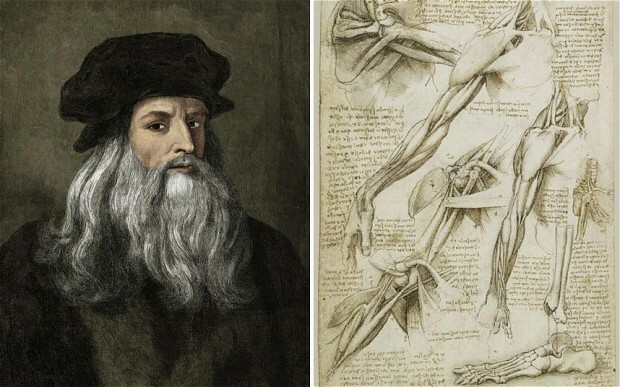 Leonardo da Vinci dug up corpses in an attempt to figure out how the body functioned. I have not had to resort to robbing graves, but I have had to dig up history to comprehend the fascinating regularity of the past. History is a series of patterns that repeat, but we get caught up trying to analyze the personality of someone like Hitler, rather than observing the conditions that enabled such a person to rise to power. For it really does not matter if it were Adolf Hitler or someone else, yet some think that Europe could have been saved had Hitler been killed in his youth. That reasoning is wrong for if it were not Hitler, it would have been someone else. You set the tone by the conditions and humanity responds exactly the same way. This date October 1 is coming up in so many ways. I am not sure why or how everything concentrates into a single turning point from a global perspective, and from so many different corners. This is why this is my DISCOVERY rather than a theory. The latter one proclaims this is how it should work, and the former is bumping into something and studying it how it functions. What I hope to leave behind for humankind is at least illustrating that there is another direction for research. The traditional mainstream ideas of manipulating the economy are collapsing before our eyes. Just once, it would be nice to take one step forward in our social evolution than always moving one step backwards to repeat the same mistakes over and over and over and over again. « Who Prints Euro Notes?